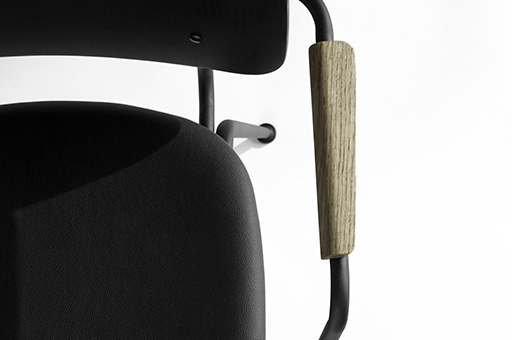 HOUE is a Danish design house founded in 2007. We are driven by affordable luxury as a philosophy, by choosing the right materials and solutions. We draw from a proud heritage of Scandinavian design and craftsmanship with mass appeal. 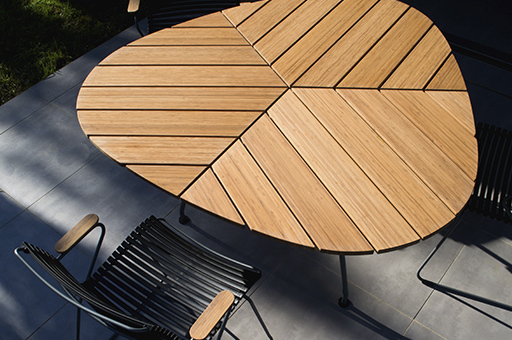 HOUE offers both an outdoor and indoor collection, always meeting our high standards in terms of design, price and quality. A mix and match concept that comes true in a variety of options. Most of us love dining together with people we like – enjoying our meal gathered around the dining table. To HOUE a good dining table brings people together. 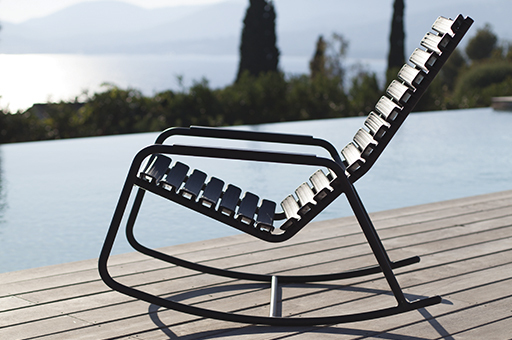 CLICK is a collection of outdoor furniture consisting of Dining chairs, Sunbeds, Rocking chair, Lounge chair, Position chair and a Footrest. CLICK is made in powder coated metal with intelligent designed plastic lamellas and bamboo. CLICK provides you excellent cushion free comfort, and the flexibility to change the color of your chair as you like. It’s al about level, to come eye to eye with nature, to relate to the horizon and to get lines and shapes to move to a higher level! Enjoy sunny days and long summer nights, in great comfort and style. LEVEL is a modular system that makes it possible to create a variety of unique outdoor lounge settings.